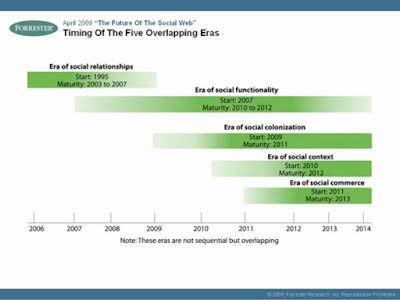 In the "The Future of the Social Web," report released by Forrester in April 2009, by Jeremiah Owyang, a Forrester senior analyst, laid out the past, present and future state of the social Web into five overlapping eras. According to Owyang, the era of social commerce was slated to begin in 2011. Well, social commerce is here. Today. TAMPA, Fla., December 8, 2009 – Solutionz Media social media think tank innovator today announced a partnership with GuestCentric Systems, the premier Software-as-a Service provider for the independent hotel industry, providing the first end-to-end social media solution for the accommodations industry. “Social media allows accommodations providers to know their customers intimately, anticipate their needs and service them better than ever before,” said Colaco, “and increase brand awareness, bookings and word-of-mouth referrals in the process.” He said the service is immediately available by contacting either Solutionz Media or GuestCentric. GuestCentric Systems develops and markets web services that revolutionize the way independent hotels work. GuestCentric has built a Software as a Service platform that allows independent hotels to develop long-standing relationships with guests, improve online revenues and lower expenses associated with online distribution. Through use of Web 2.0 technologies, GuestCentric provides easy-to-use tools at reasonable prices that up until now were only available for hotels with big budgets. For more information please visit www.guestcentric.com, or contact Karla Martinez at karla.martinez@guestcentric.com and +1 203 517 0715. Bootstrap Business is ready to ship! 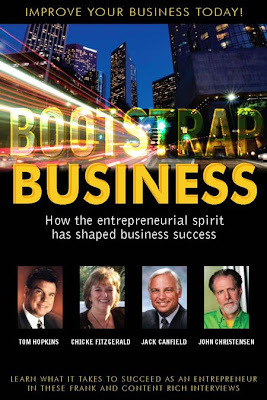 September 3, 2009 SEVIERVILLE, TENNESSEE — In the summer of 2008, Chicke Fitzgerald, consultant, keynote speaker and author, was selected from a nationwide search to be featured in Bootstrap Business; a highly successful book series from Tennessee based Insight Publishing. The book is now available for sale (http://www.solutionz.com/publications.asp). The book features best-selling authors Tom Hopkins (How to Master the Art of Selling), Jack Canfield (One Minute Manager), and John Christensen (FISH!). Chicke Fitzgerald, Hopkins, Canfield, and Christensen are joined by other well known authors and speakers, each offering time-tested strategies for success in frank and intimate interviews. As the founder and CEO of Tampa-based Solutionz Group, Chicke Fitzgerald has spent the last 13 years solving business growth challenges for corporations, nurturing early-stage companies and coaching top executives and entrepreneurs around the globe. With 30+ years in the travel industry, Chicke is a recognized authority on distributions models, whose expert perspective is frequently sought by the investment community and media. Fitzgerald is currently affiliated with the Gerson Lehman Group and has been among the top investment advisors for the internationally renowned GLG Expert Network™. She is also passionate about helping others master the use of technology and social media to foster growth through her Solutionz Media division. 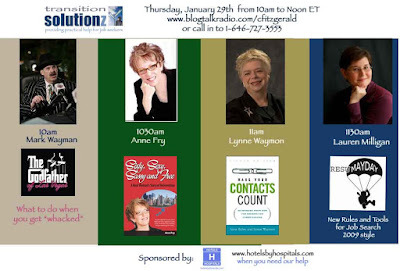 Since January of 2009 she has interviewed more than 150 authors and experts on her Solutionz Live! show on BlogTalkRadio.com and on the Executive Girlfriends' Group (http://www.executivegirlfriendsgroup.com). When she is not coaching, speaking or consulting, Chicke enjoys spending time with her family in Tampa, Florida. She also dedicates time, energy and resources to a local organization known as Real Estate Lives, mentoring displaced employees hard hit by the mortgage banking crisis and working with the organization’s leadership to build a similar model for other industries and communities to replicate. One of the things you will notice about the ladder in this segment of the Word of Mouth Media discussion on the relationship ladder is that there are some new words. As we look back on Rung #1 - SPAM, it is accompanied by the emotion that is generated by this kind of activity - DISDAIN. And even as we move up to Rung #2 - NOISE (slightly more targeted communications than Rung #1), it can still elicit IRRITATION. Hopefully once you have reached Rung #3 and have started getting a response, you have your audience INTRIGUED. But intrigue isn't enough to keep you moving up in engagement with your prospects. Rung #4 - DIALOGUE gets you to a place where you can distinguish true INTEREST in whatever you are offering (whether selling a product or a service, or trying to get someone to believe in you or your ideas). A level of COMFORT results from getting to Rung #5 - CONVERSATION. This can be comfort with your product or service or just comfort with the fact that someone cares enough to fully converse with them about what they are after versus just what you are offering. Rung #6 is really the Holy Grail for most marketers and that is getting to a place where you can actually get the client/prospect to TRUST you. This is also where you begin to move your own needle by getting the referral for (or conversion to ) a sale. It is also the place where if you deliver against your promise in both the product or service and the whole set of experiences pre- and post-sale, then you have a great chance of this person referring you to others. TRUST is an essential component of relationship and of continued engagement. So this is the place that you must be if you are counting on viral marketing as a core component of your marketing plans. Stay tuned for the last rung, REPUTATION, coming tomorrow. Bravo, you've gotten past thinking that SPAM and NOISE are good ways to get sales referrals or to gain a reputation (a good one that is). You've even gotten some folks to respond to you as you comment on various articles and blogs. RESPONSE is good. Perhaps you have taken the big step beyond 140 character communication (aka Twitter or any other micro-blogging/status update) and have become a citizen of the blogosphere. The secret there of course is saying something that people are interested and of course, working to engage them in DIALOGUE. That gets you as far as Rung #4. So how do you get to Rung #5, CONVERSATION? What is the real difference between online dialogue and conversation? I would distill it down to one word - ENGAGEMENT. You can see that I've added the word engagement to sit across from the word relationship. True relationship is built over time and quite often involves "knowing" the person, either personally by meeting face to face or by talking over the phone (or Skype). Engagement can occur with people that you don't "know" in any sense other than dialogue over the Internet. You don't normally use the term dialogue with people that you know intimately (e.g. "I had a great dialogue with my husband Michael yesterday"). No, that is a conversation. What we are talking about here is the degree of engagement, the degree of relationship. Stay tuned to hear about the next rung, which requires you to also add in a large dose of trust into the equation. And don't forget. This isn't about being social. It is about generating positive Word of Mouth. Stay tuned for Step #6. This is where you begin to move the needle and ending up with a positive ROIT (that is return on investment of time for the social media newbies). You've invested a lot of time in trying to elicit a response. Perhaps the reason that you haven't been successful (yet!) is that you are spread too thin. This week I made a major decision which was predicated by coming to the realization that I was indeed spread too thin, in a lot of areas of my life, including social media. For those that know me well, you'll understand that it takes a lot to get me to that point, as multi-tasking is my middle name. Getting people engaged in dialogue online is getting more and more difficult. Case in point - Groups on Facebook and Linked In. Lots of people join them, perhaps to have that "badge" on their profile so people know what they are interested in, but very few people get engaged to the point where they are actually eliciting dialogue. Dialogue is first and foremost a function of LISTENING. You can't have a meaningful dialogue if you are the only one talking. That is called monologue for a reason. So the difference between Rung #3 of trying to elicit a response and #4, DIALOGUE is how much listening you are doing versus talking. Is your response one that is just intended to turn the attention back to you? Or do you really care about the other person's views and their needs? Are you an airline that sends offers to your frequent flyer list, but forget to "filter" them to their departure city and showcase the cities that they've flown over the past 24 months? That is DIALOGUE. Sending the same email to everyone about your specials is NOISE. Get involved with what people are talking about as it relates to your products and services, your destination or the general area of your expertise. 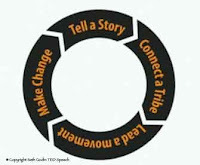 One of the characteristics of true online dialogue is when it has more than a single cycle (e.g. a comment that may have a response, but no more interaction) or when someone else chimes in, having found value in your contribution. To get to multiple cycles, well, that is Rung #5 - Conversation. Stay tuned! You fully understand that rung #1 of the ladder is spamming and you've gotten past rung #2, noise. You get it -- that in order to really make a dent in the social grid, you have to get folks engaged. You need to get a response -- to get noticed. In the travel industry, we have been the eCommerce Pioneers of the world. In fact, that is the name of my first book, published in 2001 But a web site isn't enough. So as you move on to try to learn the plethora of social media tools, you now are challenged with how to get past using those same tools on the rung #1 and rung #2 level and to figure out how to get a RESPONSE. Quite often, the first step is following the big boys, the leaders of the social media pack. You read their blogs, you comment, you try to get noticed for your clever observations. You join Digg, Disqus, Reddit, Newsvine and others and post your comments and even check that you want to "follow the dialogue". But the transom is silent. So you get a little more narrow and see who is Tweeting about travel, or perhaps about your destination, your property or about a genre such as adventure travel or cruising. 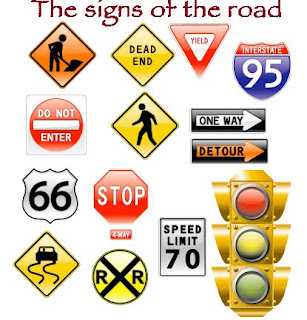 The best way to do this is to go to http://www.search.twitter.com and search for keywords using the "hash tag" or # sign. #Barbados will yield everyone that is talking about Barbados in real time on Twitter. Once you find the active, social media stars that are frequently posting about what you are interested in, you "retweet" their posts on Twitter. You also shift your strategy to retweeting the posts of people that you know and follow. You comment on their YouTube videos and even venture out into doing video comments. 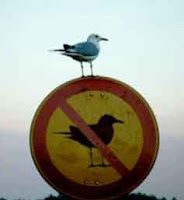 Perhaps you are bold enough to launch your own blog or post articles on eZine.com. You even add a Google FriendFeed to your blog to give the hordes a way to signal their response. at this juncture, what you are still doing says loud and clear, "Listen to me! I matter!". It simply isn't enough to just talk or to hope that you can elicit a response. Getting past the response stage takes time and energy. Getting to dialogue isn't easy, but the good news is that it is possible. Stay tuned. We're going there next. OK, so now you understand that even though spamming is something you can do quickly and really quite effortlessly, it is not a wise move in social media by anyone's measure. The next step up on the ladder is NOISE. No one likes to be called "noisy", yet, this is typically the first step for someone who decides to "graduate" from email spamming or the social media equivalent of mindless autoresponders trying to "sell" your idea or product to whoever follows you on social media. Noise in Word of Mouth Media™ is the equivalent of going to a party and walking from group to group, introducing yourself and spouting off whatever you want to say and walking away without even knowing whether anyone cared or wanted to learn more. Engagement does NOT follow noise, nor does conversion. One of my favorite authors is Sam Horn. She wrote a great book called POP! with the sub-title of stand out in any crowd. Trust me, it doesn't include instructions for how to generate "noise". What Sam does talk about is how to get from the place where someone "furrows their brow", which translates into not being very happy about whatever just happened, or worse, no "brow reaction", to the place where you get a positive response (or in social media terms, someone commenting on your post, your tweet or your video) that looks more like raised eyebrows, which signifies visually "Wow!" or "I get it!". We'll talk more about engagement when we talk about Rung #3 - RESPONSE. Stay tuned! Of all of the things that I've learned in my 6 month immersion into social media, this one is the most important. It is so important, that I'm going to break it into a series of posts, each one addressing the various rungs of the relationship ladder. 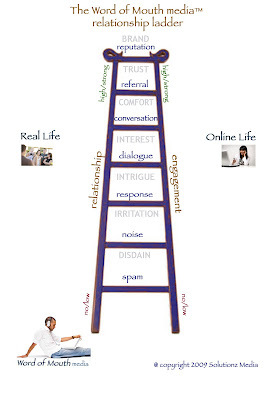 Without any training or strategy, most everyone that wants to get across a point, get people to an event, or to somehow get them into your sales funnel, begin online at the bottom rung of the Word of Mouth media™ relationship ladder. SPAM is not just a brand of canned mystery meat, it is what happens when you attempt to have some sort of dialogue or conversation (or what you think might appear to someone as such) without any form of current relationship. I say current, because most of us have been building our email list (aka address book) for more than a decade. We have everyone from friends and family, to business colleagues, clients, former clients, all the way down to the guy you sat next to on an airplane in 2002, but can't even remember why you thought he was important enough to add to your address book. We've all done it. You are in a hurry, so you send out a notice of a product launch, an event, a company announcement or even a particularly funny joke, but what you forget to do is to ensure that the person on the other end will actually (a) remember you; (b) care about what you want them to care about. It goes without saying that this is not only not a good idea, but it is actually counterproductive on a number of fronts. You stand to alienate people that you actually care about a great deal (either personally or professionally). So, if you are on this rung, STOP | THINK | DON'T SPAM. Stay tuned for Rung #2. If you are interested in how to get not only on the social graph, but to get to the top, it is all about relationships. 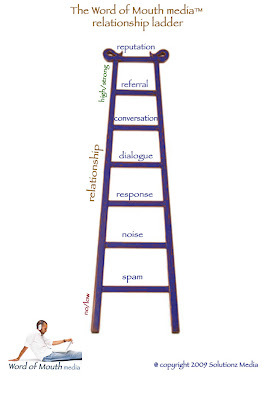 Check out the Word of Mouth Media relationship ladder. For more information, see www.wordofmouthmedia.blogspot.com. Yesterday I started a new group on Facebook for innovators. The response from industry leaders across travel, mapping and navigation has been really wonderful. One of the categories where we are looking at getting input is in the area of leadership. 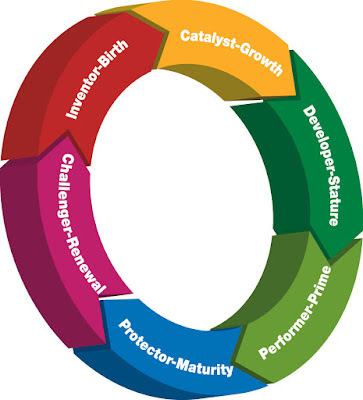 Here is the Leadership Spectrum™ model, created by my friend and colleague Mary Lippitt of Enterprise Management Ltd..
Mary's theory is that at different points in an organization's lifecycle, different skills are needed. I wholeheartedly agree. For more information about Mary's perspectives, see Mary's website. Over the course of the last six months, I've been spending most of my time learning about the nuances of social media, or as I call it, Word of Mouth Media™. Of all of the things that I've learned in my 6 month immersion into social media, this first lesson is the most important. It is so important, that I'm going to break it into a series of posts, each one addressing the various rungs of the relationship ladder. Throughout this post which was originally written for individuals trying to master social media, I will tie it all into the topic of distribution. I say current, because most of us have been building our email list (aka address book) for more than a decade. We have everyone from friends and family, to business colleagues, clients, former clients, all the way down to the guy you sat next to on an airplane in 2002, but can't even remember why you thought he was important enough to add to your address book. The same thing is true for companies that decide to use social media to expand their marketing reach. When was the last time you interacted with your customer or your prospect to learn about what their challenges are and whether you have any way to reach out to them in a meaningful way to solve their problems? Every time you want to post on Twitter or Facebook on your company page, or your executives are posting (yes, it does matter how your executives are using social media), ask yourself whether you are adding value to your clients or your prospects. Are you solving a problem? Are you educating them on something that will make a difference in their business? American Airlines view of distribution (aka she's at it again....."
As I ponder American Airlines' stated view of the future of distribution, I can't help but go back to my original analogy of distribution economics. Indulge me Mr. Arpey. And please, tell me where I have missed the mark! Imagine if you will, a manufacturer of goods - a soap manufacturer will do nicely for this story. For years and years, decades in fact, I manufacture my soap, focusing on the quality of my product. It cleans well, it smells nice and it softens your skin, or makes your clothes soft or makes your floors squeaky clean. I have a "frequent cleaners" club that makes people loyal to my soap, wanting to amass frequent purchaser points to use just my soap. For years, Walmart, Target, grocery and drug stores have sold my products. Only in rare occasions, in major cities, did I have a "City Soap Store", where my own staff serviced and allowed customers to pick up the soap that was purchased by phone. The soap was exactly the same price, whether or not it was purchased by phone or from a retailer, or picked up at a City Soap Store. In fact, the US government regulated the price of soap and the sale of soap through any intermediaries. By the 90s, the cost of labor and the high cost of the real estate in the City Soap Stores causes me to close nearly all of them, so I'm forced to rely heavily on my retail network that sells nearly 85% of my soaps. Enter the Internet. I figure out that I could not only sell directly to the customer, but I can actually shift their behavior to only want to buy through me, bypassing those pesky retailers and the distribution costs of placing the soap in their hands for sale 7x24. In fact, before I even retrain consumers, I think I'll just stop paying the retailers any commission for selling my soap. Yes, that's the ticket to higher profitability. The retailers will just have to charge their customers a service fee for buying my soap to make up for the lost commission. No one can be without my soap, so surely they won't mind. But wait.... to get the consumers soap business online, I will have to discount the soap, just like other online retailers are doing. Well, I can make it up in volume. Yes, that's the ticket to higher sales. OK, it has been nearly a decade now. Surely the consumers have learned by now, so I will now actually institute a charge to the retailers to sell my products. I do after all have the best soap in the land. Oh, you say that with my soap used to come a wrapper that kept the soap from flaking and it used to have beautiful graphics on the box and on the bottles and now it looks just like the discount, generic brands. Well, who will notice that we have had to cut here and there over the years to make up for the loss in profitability from selling for a lower price online. Oh, you say that the retailers are still selling over 77m of my domestic soaps and 32m of my international soaps and getting on average $380.48 per case domestically and $883.76 internationally. Wait a minute, online I'm only getting $275.40 per case domestically and $556.71 internationally. Hey, Finance! Are we making it up in volume???? So in the 4th quarter you pared down your staff. January and February you watched the news, watched industry trends and saw 10-15% decline in your own numbers. It is time to shift your attention to sales. Yes, new sales. I know, the media says that no one is spending. It is time for the blitz. 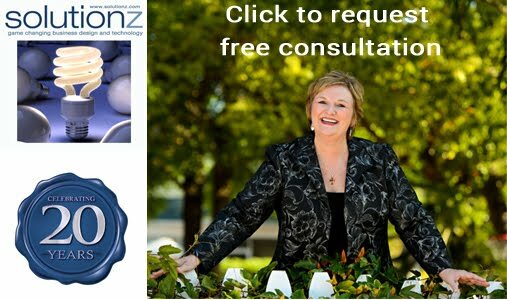 On Tuesday, March 10th, Andrea Sittig-Rolf will be on Solutionz Live! at 10am ET talking about the Blitz Experience. You can tune in live to www.blogtalkradio.com/solutionzlive or you can download or listen on demand. You can also call in 646-727-2840. The show is 30 minutes long. She is also doing a one hour workshop for the Executive Women of the travel industry on Wednesday. That workshop is free for charter EGG members and $50 for non-members. For more information, call Chicke Fitzgerald at 813-925-0789. The butterfly to the left is part of the branding for this year's TravelCom Conference, coming up on March 31-Apr 2nd in Atlanta. This year's conference is being held at the Omni, near CNN's world headquarters. The butterfly is a very interesting symbol and in and of itself is a symbol of struggle and indeed a miracle. The process of going from chrysalis to butterfly is one that cannot be rushed and it cannot be helped. If the butterfly doesn't struggle within the chrysalis, it's wings would not strengthen enough to let it fly when it emerges from the cocoon. Just try cutting it off and see what happens to the butterfly. Second thought, don't. Let nature's work be done. 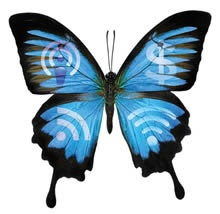 How often, in pursuit of the symbol on the upper right hand corner of the butterfly (money, profitability) do we ignore what is in the upper left (inspiration, innovation)? And we forget that communication between each of us is key to keep the flow going. And yes, the struggle to get out of the cumbersome chrysalis and emerge strong as the beautiful butterfly is what we are all hoping for in these times of economic challenge. If you aren't signed up for TravelCom because budgets are tight and travel has been all but cancelled, think again. Innovation is essential to life and hard times are essential to flight. You can touch more prospects at TravelCom than you will be able to touch in a full quarter and you will get more inspiration and ideas along the way. Networking and support are vital to growth. For those that know me, you likely already know that I'm in the midst of what I call "near total reinvention". While I still have a passion for travel distribution, nearly every minute of every day I am now consumed with the launch of my new social broadcasting network and media company. 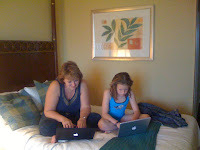 I still do strategic consulting in the travel industry and still run the Executive Girlfriends' Group for the Executive women of the industry, but also host 8 regular radio shows per week on blogtalkradio.com/solutionzlive. I also do 9 special programs per month for those in transition, also on blogtalkradio.com/resumelive. So if you've followed this blog and wondered why I've been silent, that is it in a nutshell. Once things are cooking along smoothly for Solutionz Live!, I'll get back to blogging about marrying buyers and sellers! Global Travel and Tourism Investment - Good idea or bad idea? 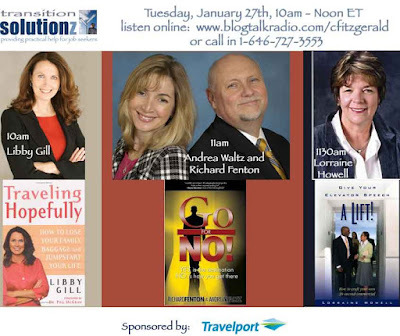 Catch Richard Miller, CEO of Tourism ROI to hear his views on Tuesday, Feb 17th at 1130am ET. Listen live at www.blogtalkradio.com/solutionzlive or download later. Every day we are faced with choices. It is just like standing in front of an elevator. We can choose to press the UP button (positive attitude which breeds success), we can choose to press the DOWN button (taking everyone we know down with us into the mire) or we can stare endlessly at the panel, not making a choice. Endless inertia, better known as the status quo. Today come up with just 3 ways to grow, without additional investment or resources. And while you are at it, go pick up a copy of The Go Giver. It is an amazing little allegorical story about growth through giving. It will change your life. It is a quick read. Do it. The co-author Bob Burg is on my radio show tomorrow morning (2/17) at 10am ET. Listen live or download later. We are talking about innovation through giving. Today at 11am ET Chicke Fitzgerald welcomes Jake Fuller as her guest co-host on Solutionz Live! They will talk about the state of the travel industry and will be talking about the rivalries in the GDS and online travel space. Listen live on www.blogtalkradio.com/solutionzlive or call in on 1-646-727-2840 to ask questions live on the air. Or download after the broadcast is complete and listen at your convenience. The GDSs are all suffering from an inordinate dependence on airline travelers for their revenues. In most cases, 90+ percent of GDS distribution revenues are from air bookings. And the non-air bookings received are largely sourced from the air traveler needing a hotel, a car or a cruise on arrival at an airport. In my discussions with GDS leadership and the investment community alike, no argument as to these findings. In the past, this has not been problematic, as the GDSs and agencies received a disproportionate share of these bookings and were able to maintain double digit profits. Over recent years, supplier direct bookings continue to climb as a percentage of total electronic bookings. This channel shift does not appear to be a reversible trend, even though according to ARC, the net profit from online bookings is significantly lower than bookings emanating from the travel agency marketplace (see my post on the BEAT Blog). Recently I saw an article about Amadeus and Transhotel forming a strategic partnership to expand their hotel inventory to include consolidator inventory. Amadeus isn't alone in focusing efforts on expanding its non-air product and its inventory sources. Travelport and Sabre have had similar announcements. But the problem isn't really product or inventory. It is the percentage of hotels that are currently booked by the GDS/agency community as a percentage of total bookings. The reason that hotels are not being booked in greater numbers on the GDS is that 85% of all Americans drive when they travel and 52% of all business travelers. So reaching them with a "do you want fries with that" type of a transaction as an adjunct to air, doesn't work as a marketing ploy. If they are driving and you are not offering them a way to plot out their trip, start to finish by car, including what hotels they will need along the way (and for leisure, what to see and do and where to eat and shop), then you won't likely capture the hotel bookings. It's that simple and it's that hard. The technology exists. It is available. Don't wait until the oxygen mask drops down and you are gasping for breath to put the mask over your face. A few weeks ago I wrote about the industry being in a state (wait.... make that the country) that resembled the metaphor "waiting to exhale". A friend recently said that she felt that the travel industry was in a state of paralysis. I then shared the "waiting to exhale" comment and said that with paralysis you can live forever without moving. Waiting to exhale has quite different consequences. 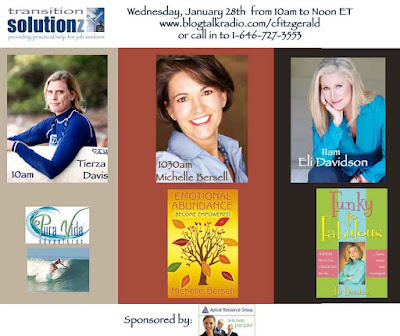 Will begin musing again soon - This week's focus: Solutionz Live! This week was the launch of the Solutionz Live! social broadcasting network. This is the "new new media" that you may have been hearing about. The show is broadcast using the blogtalkradio.com platform, which means that I was able to launch a complete new venture in just 2 weeks, since all I had to concern myself with was the content and the sponsorship. Thanks to Travelport for their sponsorship of the Transition Solutionz Series. This week I launched the new network, focused on professionals from the 3 distinct aspects of your life. Tuesday was the business focus - innovation, leadership, investment insights and growth, sponsored by TrendyPrints.com and Magnetic Messenger. Wednesday focused on the social side 0f professional life with discussions of social networking and faith in the marketplace. Thanks to PJ Inc. for their sponsorship today. Tomorrow's show is on the personal side of professional life with four segments on life balance, wellness, giving and career transition. Thanks to the Barbados Tourism Authority for sponsoring tomorrow's show. See promo for tomorrow's show on YouTube. 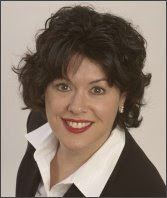 Nancy Widmann joins us at 10am to talk about INNOVATION and LEADERSHIP When the Sky is Falling. 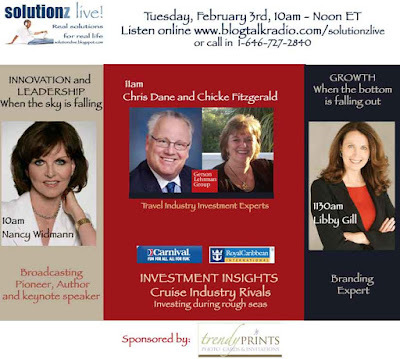 At 11am Chris Dane and I will be talking about the rivalry between Carnival and Royal Caribbean in our segment INVESTMENT INSIGHTS - Investing during rough seas. For those who saw our segment on Fox Business, Money for Breakfast, this is the story behind that story! At 1130am, welcome back to Libby Gill, who helped launch Transition Solutionz last week. This week we will turn our focus to GROWTH When the bottom is falling out. 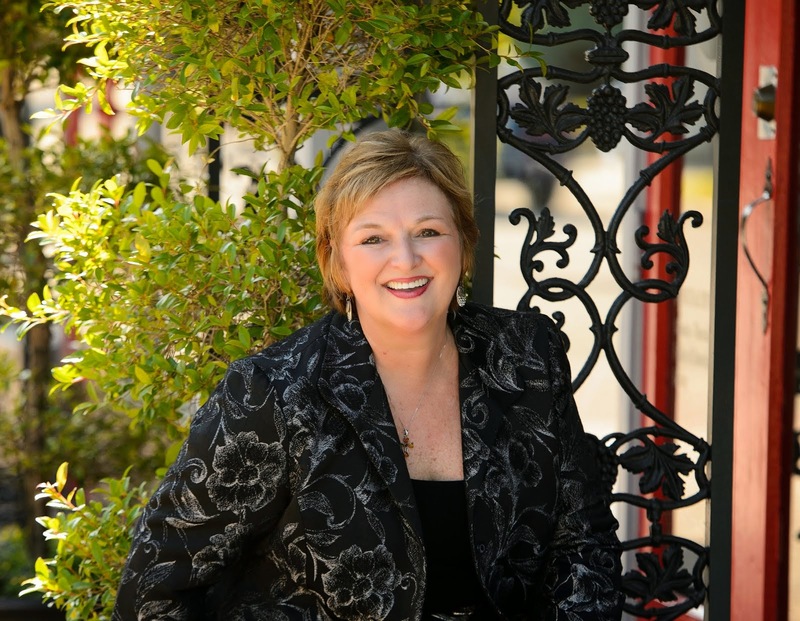 Libby will talk about how branding plays a key role in business growth. Join us live at www.blogtalkradio.com/solutionzlive on Tuesday. Set a reminder for yourself on the site. To listen by phone and ask questions, call 1-646-727-2840. All shows are archived and you can listen to us anytime ON DEMAND. All the shows will be accessible here, so be sure to send yourself an RSS feed and follow this site. Mark Wayman with the Godfather's Career Guide - what to do when you get whacked.